Recently refurbished to a very high standard the Bay View offers a wonderful boutique bed and breakfast offering. 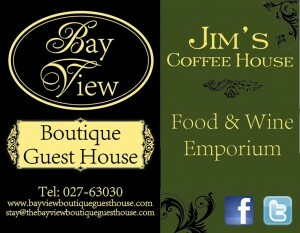 Jim’s Coffee House (on site) is a great cafe and winebar. Very friendly staff and good food.